Win a free family Super Pass (2 adults & 2 kids) to Splash Planet, Hastings valid until 21st November 2017 (see note below about when Splash Planet is open). COMMENT with a water based activity that your family enjoy going to that you’d recommend to other families (think pool, beach, splashpad, thermal pool….). This can be anywhere in New Zealand. Like ‘Kids On Board NZ’ and ‘Splash Planet’ on Facebook to receive updates on other promotions and events for families this summer and for an extra entry to this competition (not mandatory). This competition is running from Sunday 27th November to Sunday 4th Dec 10pm. NB: 1. 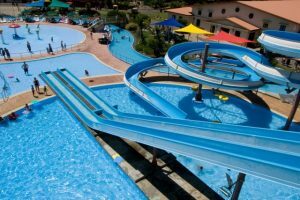 Splash Planet is open for business until 7th February (daily 10am – 5.30pm) and then weekends only till 26th March 2017. Dates for opening next year are at the discretion of Splash Planet and have not been released yet. 2. All kids under 8 years old MUST be actively supervised by someone 16 years or older. 3. Some rides have restrictions e.g. height, age or how many people can ride at a time. For more details please see www.splashplanet.co.nz or the Kids on Board listing here. 4. Kids are classed as 4 – 13 years old. Kids 3 years and under are free. 5. Please see general terms and conditions for all Kids on Board competitions here. Thank you to Splash Planet for making this competition possible and for being such a great place to have a family fun day out in Hawkes Bay. Have heard great things about Splash Planet since last season – must pay a visit. AC Baths in Taupo are fantastic for families too. Facilities are great, water is warm and it’s less touristy and well priced. 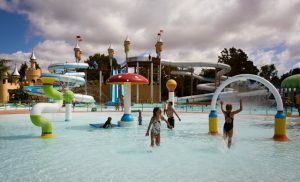 Splash planet is awesome in Hastings and in Taupo we love the debretts hot pools. Never been to Splash Planet (would love to try it) but we enjoy a day at Waimarama Beach in a Hawkes Bay…. Great for boogie boards and a surf life saving safe zone. When we think of the Hawkes Bay we think of grabbing the boogie boards and sliding around the shallows at Ocean Beach.